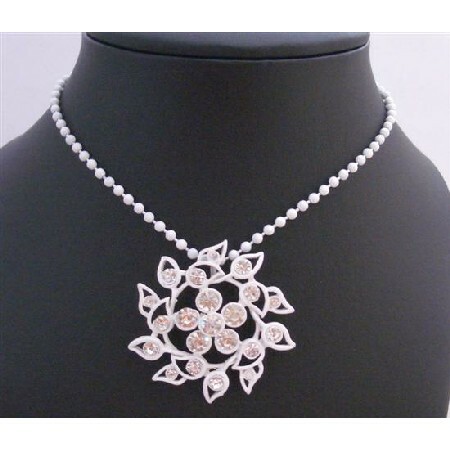 An exquisite long summer necklace with pretty round flower pendant full embedded with rhinestones long necklace 26 inches which Add chic elegance & stand out from the crowd The Length of Necklace 26 inches Pendant measures 2 inches diameter This is very beautiful piece of jewelry Dont Miss It!! Add To Your Cart! !